Mate tea is a cultural icon in South America — it’s known as the beverage of friendship and that’s what inspired us to carry our own blend of yerba mate chai tea, sourced thoughtfully from Brazil. 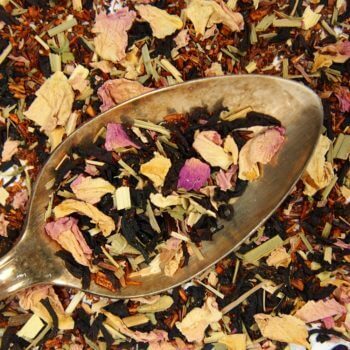 Many tea drinkers like mate because the caffeine is very smooth as compared to black teas. If you’ve had trouble with caffeine before, you might enjoy mate. The tea itself is toasted and has a slightly smoky flavor; we pair it with fresh orange peel and a variety of spices to enhance the flavor, as well as a splash of caramel, making it a caramel chai tea. This makes an amazing tea latte, especially with a hint of sugar or honey for balance. Or prepare it like traditional masala chai — we think you’ll love it. We call this our Stargazer blend because when making it, we were inspired by the tribal rituals of South American cultures, and we think about the beautiful sights and gorgeous night skies (with different stars than in the Northern Hemisphere!) when sipping it. Allow the cool, calm, collected caffeination to open your mind and connect you to the best version of yourself and your most creative ideas. For those that are timid about chai this is the tea for you. One of my favorite teas of all time was Lipton vanilla caramel truffle which they discontinued a very long time ago. This has the same exact flavor profile with just the hint of the chai spice which I love. 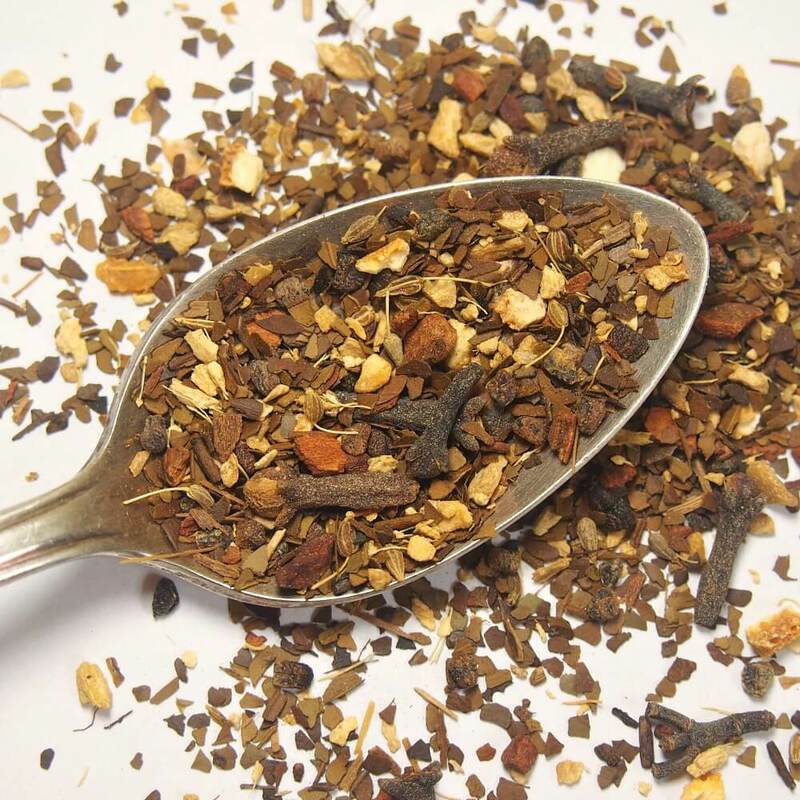 If you love that chai spice flavor just brew it a little bit longer. I either drink it with a little bit of stevia or stevia and some half and half. Wonderful well-balanced delicious succulent tea. I love this Chai! I'm usually on the fence anytime "caramel" is in a tea (I've had some bad experiences), but this chai won me over and this was one of my first experiences with mate tea as well. I love the blend of flavors and it goes great with a whisper of honey! Maybe my expectations were too high, but I didn't love this tea, which is a shame because I like all the ingredients in other blends. I'm not sure exactly what I found lacking - might be the aniseed which lingers in the aftertaste - but to me this one is only just okay. I'm going to try this again, though - maybe switch it up with milk or cream. This all organic tea is sooooo good. I use with my favorite honey or I'll add a little unsweetened vanilla almond milk sometimes. I highly recommend this one. Tea of the month is my favorite subscription ever!!! 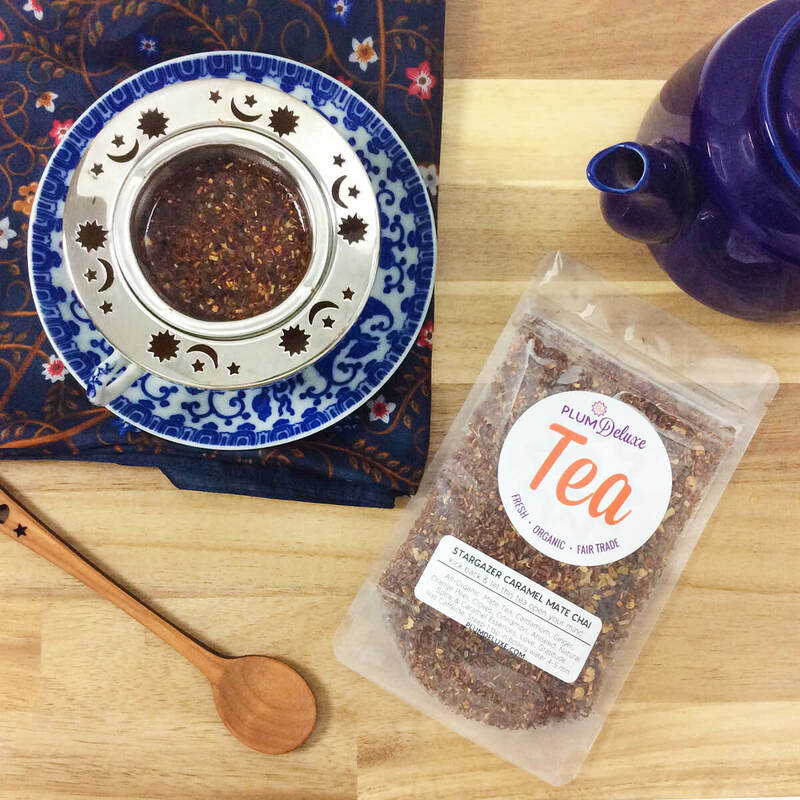 Ingredients: Brazilian Mate Tea, Rooibos Tea, Cardamom, Ginger, Orange Peel, Cloves, Cinnamon, Aniseed, Natural Spice Essences, Caramel Extract, Love, Gratitude. Has Caffeine. Preparation Instructions: Use 1 1/2 tsp per 16oz cup. Steep with boiling water for 4-6 minutes. Suggested Uses: Great with hot milk and honey, or whip it up into a tea latte.